In today's world, it has become more popular to have our own home cinema set up and now more than ever you should consider getting one as they are available for everybody to obtain unlike in the past where only a selected few could go for one. But these modern times come not just with the technology, but it also comes in with technological advancements that could accommodate a home cinema in different scenarios with different budgets, so there is an unique solution available for every user. Now, with that being said, before you start thinking about what home cinema setup you could get, there are a few things to take in consideration. Very few projectors are truly good when it comes to multitasking as some of them are only optimised for computer use and some others to be used at home cinemas. That is why it is worth knowing what you are looking into, to have the best possible experience at your own home cinema before investing in the newest and most expensive one in the market. 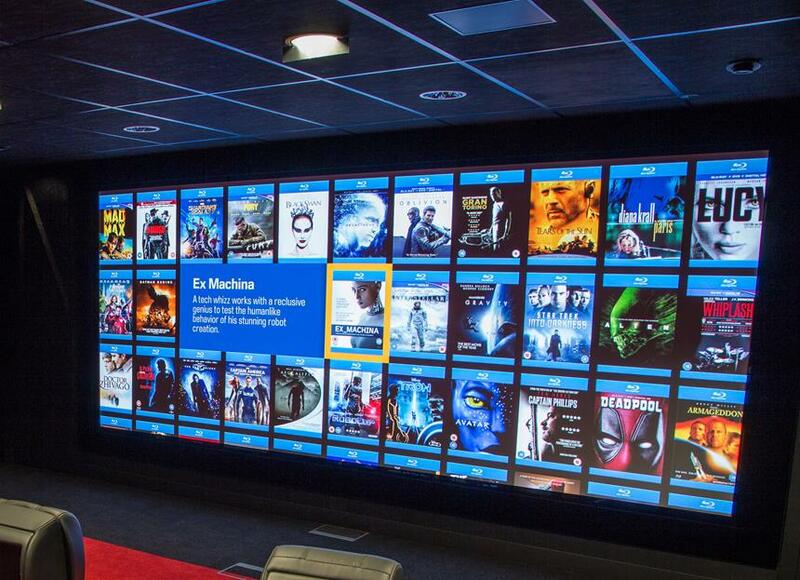 This guide was created to give you advice on the most crucial elements for a home theatre so you can make the right decision. It is essential to remember that brightness doesn&apos;t necessarily mean everything when it comes to improving your home cinema. To get the authentic cinema experience, you should be focusing on how to reduce the amount of light in the room or the natural light in the room either coming from the window or other sources of illumination. All projectors brightness are measured in Lumens - The amount of light emitted per second in a unit solid angle. In home theatre projectors, lumens usually start out at 1000 and move beyond 2500. But paying attention to the viewing environment of your room is the crucial factor in choosing the correct projector that offers the perfect brightness. Dedicated home theatres recommend having 1000 lumens or brighter. In most cases, brighter projectors, with a lower contrast ratio will give a better image quality based on specific ambient conditions. When the room is bright, the projector does not determinate the black level of the room, so the brighter the image, the more prominent is the perceived contrast. Home theatre projector lamps usually have a lifespan of 2000 to 5000 hours. But this is generally referring to the lamp reaching Its half-life it to were it is half as bright as when it was when it was first bought due to the deterioration of the bulb’s brightness. The lamp will continually depreciate in brightness in which it is time to be taken into consideration. We highly advise using a projector instead of your current television for your home cinema. However, the lamp replacement costs should be kept in mind. Replacements are usually acquired in the range of £153 to £305. However, if you are planning to use your projector mostly for watching movies or having a special event and taking into account that the average film length is about 2.5 hours so you could watch about 800 to 2000 films. In addition to that, the lifespan of the lamp should not be as important as a replacement will take longer to be required. We recommend regular filter cleaning, correct usage, and care, whereby doing this you can even improve the lamp&apos;s lifespan and have it last longer than expected. For today’s home theatres the most used resolution is 1080p which allows you to submerge yourself into the full experience of a home cinema, but why settle for that when you can go beyond the standard experience. Give yourself an authentic home theatre while enjoying better image quality and enhancing your real home cinema experience. It is important to remember as an instruction, the higher the resolution, the higher the pixels that are going to be displayed, thus, creating a much sharper and higher quality image that will be crucial as the projector screen size gets larger to avoid getting pixelation or a low-quality picture. The pinnacle of home theatre stands with the 4K image resolution, where on most screen sizes, the image will be smooth and provide a much higher quality image. Higher resolution gives you a much better result on picture quality when displayed from top definition sources such as the Xbox One, PS4, Sky HD, Blu-ray, and 4k UHD sources. However, we are sure that the question in mind right now is, whether the 4K resolution is honestly, that much better than a standard 1080p resolution? Absolutely, with 4K resolution, the image and colours get as real as if you were in the movie yourself, no pixelation, no colour diffusers, just the real magic of peak performance home theatres. To make it easier to understand let’s take a look at the number of pixels being displayed from different resolutions from the standard DVD to the Native True 4K. Projector don&apos;t come with speakers, so you need to look for a dedicated sound system and speakers to give your home theatre an authentic sound experience along with the best image quality. Have you made the decision on what screen you want, but have you decided the size yet? Bigger does not always mean better, keep that in mind. Have you ever sat down in the front row of a cinema and came out in pain? If you have, then you know what we are talking about. Large screens and overly bright projections can also damage and make your eyes tired. This is why you should look into finding the right size screen that best suits you and your home theatre. When in smaller rooms, you want to choose a short throw projector to allow you to use a larger screen without having to sacrifice space. In order to find the correct size for your projector, you should look for a screen size calculator or find the help of a professional to take the exact measurements for you. If you prefer to do it yourself, with the screen size calculator and the projector you can as long as you know the distance between the front of your projector and the area you are projecting onto, then the calculator and the projector will do the rest for you, giving you the correct, precise and unique screen dimensions. Resolution is a significant factor for the image quality, but what else do you need to have in mind when you are making the purchase of the correct home theatre projector? Contrast ratio - The ratio between the white and black areas in an image. A more strong contrast means the projector will have a more considerable difference between white and black. In order to make it simple, the higher the contrast ratios, the better the image with a higher degree of perceptible depth. Furthermore, a higher contrast means that there is a lower chance of light leakage affecting the image, thus providing a higher level of projected brightness to give better quality and colors to the produced image, causing your image to appear less faded while helping you enjoy the best experience. The answer is given by the fact that the black from the projectors are the absence of projected light on the screen, so they can only ever be as dark as the ambiance in the room they are in, that is why having a specially designed dark room for home cinema is the best solution. The only thing that really affects the contrast ratios is the ambient light. The best solution and the ideal room for a home theatre is a pitch black room, professionally designed and built to be enjoyed as a cinema with no reflective fabrics to create the best experience granted by the contrast and the resolution together. There are many different ways to enjoy the real experience of an authentic home cinema, starting from the type of room you have or how you want to build a new one designed uniquely for a home theatre. The brightness of the projector to give a better image based on the room ambiance, the resolution to gives us the best image quality allowing us to experience the real feel of being in a theatre. The contrast to provide you with the best colours and less image fading while enjoying the best sound quality for our pleasure with authentic sound experience from our dedicated sound systems. That is the real experience of an authentic Home Theatre. With this advice in mind, we genuinely hope you found this guide helpful, clearing your mind and helping you make the decision to look for a genuine home theatre experience, with the best contrast, sound, brightness, and resolution you could ask for in your own home cinema. If there are any other questions or doubts in your mind, please do not hesitate to contact Home Automate, we will provide all the help possible to make your dream of having the perfect home cinema a reality.